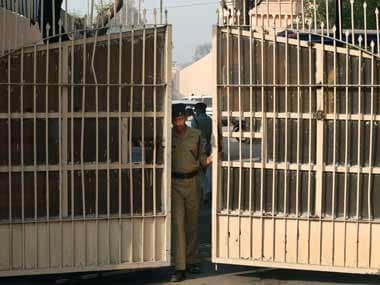 More than a year after six prisoners escaped from Patiala's Nabha high-security jail in Punjab on 27 November, 2016, the state police gunned down one of the escapees — Punjab's most wanted gangster — Vicky Gounder and the mastermind behind the jailbreak, Prema Lahoria, on Friday in Rajasthan's Sri Ganganagar district. 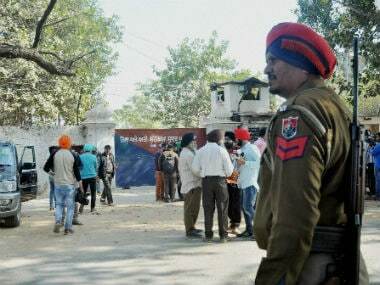 Gounder was among the six prisoners, including Harminder Singh Mintoo and Kashmir Singh, both terrorists, and gangsters Aman Dhothian, Gurpreet Sekhon and Neeta Deol, who were freed when 10 armed men stormed the high-security Nabha Jail in November 2016. 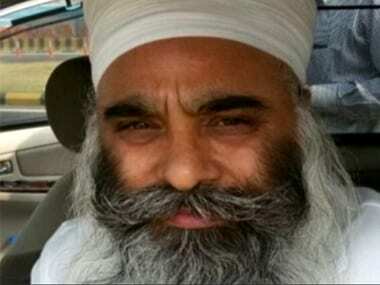 Gounder, whose real name is Harjinder Singh Bhullar, had become a "headache" for the Punjab Police since his jail escape. On several occasions, police were on the verge of nabbing him, but he managed to give them the slip, the Director General of Police (Intelligence), Punjab Police, Dinkar Gupta, said in Chandigarh. "Police had even conducted raids at his possible hideouts but he remained successful in dodging them," he said, adding that Gounder had been moving in and out of Punjab all the while. In April 2017, he even led his accomplices and killed three members of a rival gang in Gurdaspur. Police had even announced a Rs 10 lakh reward to anyone giving any clue about him, the officer said. Gounder, a resident of Sarawan Bodla village of Muktsar, belonged to a gang formed by another history-sheeter Jaipal Singh. Gounder shot to limelight in January 2015 when his name cropped up as the prime suspect in rival gangster Sukha Kahlwan's murder. Mantoo is the chief of the banned Sikh militant group Khalistan Liberation Force (KLF) and was earlier a member of the Babbar Khalsa International, according to News18. He used to operate from Thailand before his arrest from the Indira Gandhi International airport in New Delhi in 2014, on his way back from Thailand. The KLF chief was involved in 10 terror-related cases, including the 2008 attack on Sirsa-based Dera Sacha Sauda chief Gurmeet Ram Rahim Singh and the recovery of explosives at Halwara Air Force station near Ludhiana in 2010. He is also believed to have the backing of Pakistan's ISI as well. Following his escape from Nabha Jail in 2016, he was arrested 24 hours later in New Delhi's Nizamuddin Railway station, as per NDTV. He had trimmed his beard and moustache to appear significantly different. He was reportedly dropped off 90 kilometres away in Haryana, before taking a bus to New Delhi. According to the police, he wanted to escape to Goa. Kashmir Singh is also a Khalistani militant who escaped along with Mantoo. Apart from Gounder, he was the only escapee still on the run. According to a chargesheet filed by the Delhi Police, Singh trained himself to stay hungry following his escape and hid in jungles and narrow caves, reported The Indian Express. Investigators believe he could be hiding in Delhi or any of the neighbouring states. A native of Galwadi village near Khanna in Ludhiana, Singh is accused of gunning down a Shiv Sena leader in Gurdaspur in 2015. Singh, along with Mantoo, had trimmed his beard and moustache and decided to meet the latter in Goa, before Mantoo was arrested in Delhi. As per the police, Singh had been rehearsing the jailbreak in prison for months, with practising living in isolation and not eating for weeks in the jail. Amandeep Singh alias Aman Dhothian hails from Dhotian village in Tarn Taran district and is one of the most-wanted gangsters in Punjab, according to Hindustan Times. Apart from being an accused in the Nabha jailbreak, Dhothian also has 26 criminal cases, including murder and attempt to murder, registered against him. After his escape, he was arrested from Jalandhar in April 2017 following a tip-off from a police party near the PAP Complex, according to The Times of India. The police claimed they recovered a .32 bore pistol, a magazine and seven live cartridges along with four SIM cards and Rs 5,000 in cash from Singh. Dhothian was carrying a cash reward of Rs five lakh on his head and was reportedly planning to execute a kidnapping. Twenty-seven year old Gurpreet Singh Sekhon is booked in over 13 FIRs, including murder and attempt to murder, and is prime accused in the rival Sukha Kahlwan murder case, according to this Indian Express report. Kahlwan, was killed near Phagwara by a rival gang on 21 January, 2015, while being taken to Nabha Jail from Jalandhar after a court hearing in a murder case. A trained flight attendant, Sekhon was first booked under the Arms Act in 2007 and arrested in the Kahlwan murder case in March 2016. Sekhon hails from a wealthy family owning brick kilns and large portions of agricultural land. He is believed to be the mastermind who hatched the plan of escaping from Nabha Jail in 2016. According to a Hindustan Times report, Sekhon befriended Mantoo at Nabha Jail and expressed his desire to do something unique which no militant had ever done before. To this end, Mantoo floated the idea of the jailbreak. 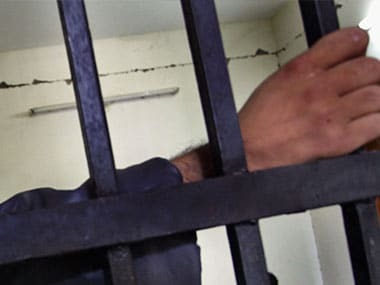 His cousin Manvir Sekhon, one of the 10 people who broke into the jail to help free the six escapees, was also arrested along with Sekhon from Dhudike village in Moga district in February 2017. Kulpreet Singh alias Neeta Deol is a Dubai-based NRI and is also a prime accused in the Sukha Kahlwan murder case, according to The Tribune. He was arrested in April 2015 who reportedly escaped to Dubai a day after Kahlwan's murder. Deol, a businessman and sharpshooter, was associated with the Shera Khubban gang, as per this Indian Express report. His Moga-based family runs a transport business. 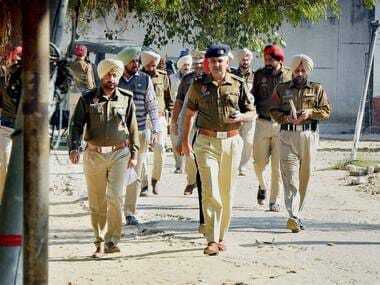 He has six cases, including that of murder, dacoity, loot and attempted murder, registered against him across various police stations in Punjab, reported Hindustan Times. Following the 2016 jailbreak, he was re-arrested from Indore in Madhya Pradesh in January 2017. The police recovered eight mobiles, a laptop and Rs 2,000 in cash from him.